A WEEK WITH LLP. 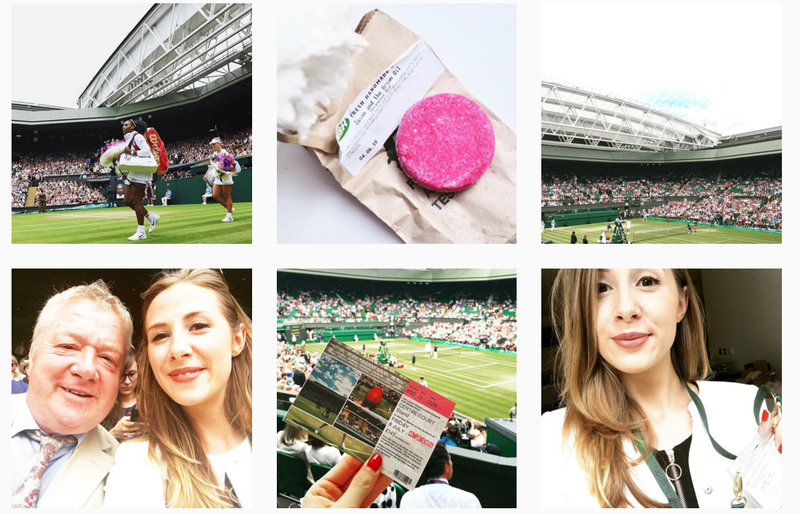 WIMBLEDON 2016 AN EXPERIENCE OF A LIFETIME. | Life Looks Perfect. A WEEK WITH LLP. WIMBLEDON 2016 AN EXPERIENCE OF A LIFETIME. Morning all! I have a brand new little post for you this Sunday, something I pretty much felt like writing last night. Rather spontaneous, as I am suffering with a severe lack of rest! If you have been following LLP for a while (thank you if you have stuck around!) you might remember I used to write a Sunday Love post, where I shared with you whatever I felt like writing, whether that being a moan up about being in my twenties, sharing trials of being a blogger and my many personal struggles. I loved writing those posts and I know they are something I like to read from others. A way of getting to know someone I guess. I really have missed writing these relaxed and honest lifestyle posts and with LLP being back on track, I have felt the need to mix up all of the beauty with a bit of extra me. So I'm sorry if you would rather see more beauty and none of me but this blog needs to stay part of who I am and not a blog full of reviews and lusting! Beauty of course is still going nowhere and I will be aiming to keep up with three posts a week but some lifestyle posts will just keep it feeling refreshed for me. As I am aware not everyone reading this will have instagram and twitter, I realised I never share, in writing, what I've been up to, which like my stalking abilities, usually adds to you guys getting to know me a bit better. See 'A week with LLP' as my version of a vlog without the intro and me looking like a mess everyday! I thought what a better week to start than this one! I've been working every single day for three weeks straight with literally nothing to share! I am so proud that I am even using a keypad! 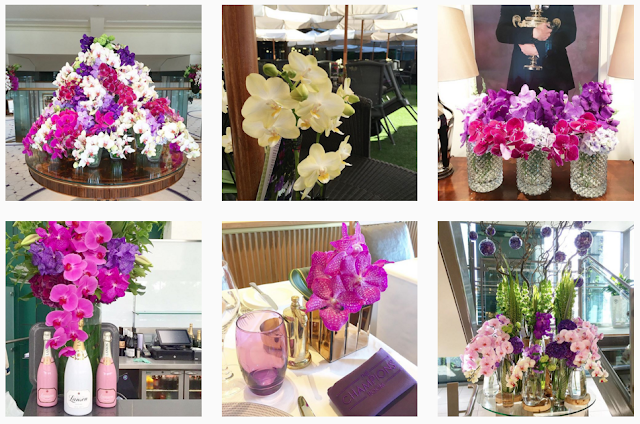 If you don't know, or haven't been flooded with my floral instagrams, I work at families floral company, which have the honour of now being the official florists of the AELTC Wimbledon Championships. We have been doing the majority of their flowers for many years now but this year we were pretty much given the entire complex of Wimbledon to transform for the last two weeks. My instagram has more of our floral creations! Now when I say it was hard work it was seriously hard work. But in looking back at the last two weeks of 5am starts, endless hours on my feet, many many many trips to Wimbledon and back, it truly as been a floral dream. I have pretty much taken a role in every single part of Wimbledon's making and it has been incredible to hear how much everyone from the staff, the cleaners, the guests, the celebrities, royals, the chairman and his wife even to my dad, how incredible the flowers have looked this year. I feel like during the last few weeks, I haven't really had the chance to even take it all in how amazing what we have achieved in such a short space of time until on Friday I got the chance of a lifetime. My dad and I, got the greatest of all honours, to be invited to the Men's semi finals on Centre Court by the Chairman and his wonderful wife as their guest of honour. Sitting right next to the Royal box, waving at Jude Law, it just felt like such an achievement to be recognised for all our hard work. Pinch me now!! 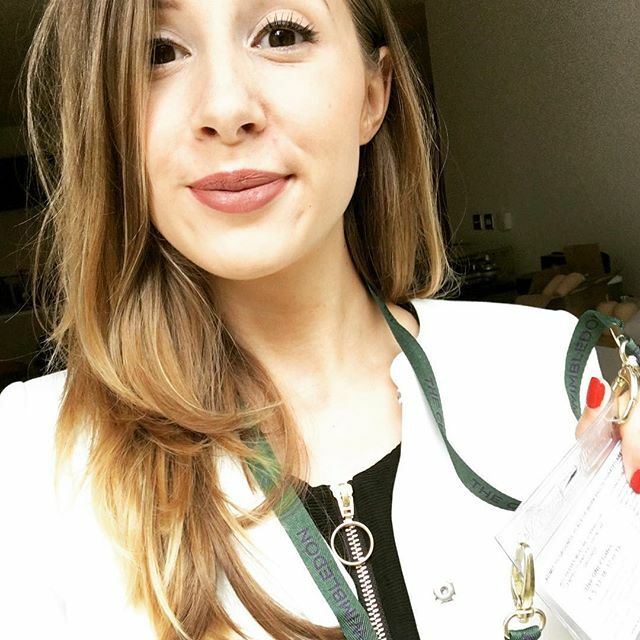 Apart from sitting on Centre Court, I think one of the best parts of the day was just being about to get dressed in nice clothes, do my makeup and feel human again. Even though i had started at 6am that morning and my eyes literally stung applying makeup but hey ho didn't I look good! It felt like I was back. I wasn't a working machine for half a day and I could just sit! So that was my highlight of the week and whilst you read this I will be at Wimbledon checking the flowers for the Men's final but never mind it only comes round once a year! I hope you liked this lifestyle post and hopefully you'll enjoy reading a little slice of me every week...obvs if I actually have anything to say about my life hehe!! TAGS A WEEK WITH LLP., LIFESTYLE.